« Fire Risk Assessment Frequency – How Often? In November last year we organised the first-ever Health and Safety for Apprenticeships Conference. 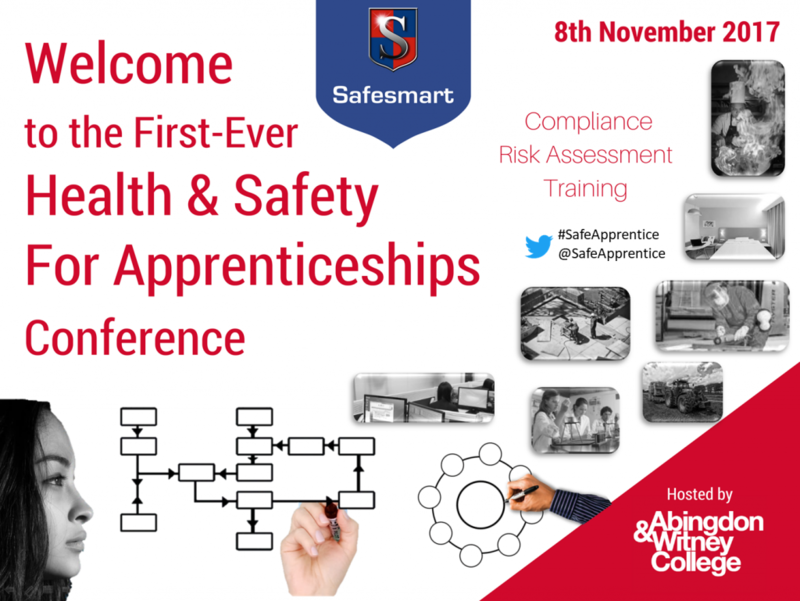 Safesmart decided to run this free conference to help UK employers understand their obligations and improve the safety of apprentices in the workplace. We named it the ‘Health & Safety for Apprenticeships Conference’ with free registration through Eventbrite. As far we’re aware it was first conference of its kind to focus on the specific topic of Health & Safety for Apprenticeships. With lots of information in the news about the apprenticeship levy and the increasing number of young people choosing apprenticeships to start their career we feel it is vital to inform employers of the required Health & Safety legislation, their obligations and also ways to reduce risks in the work place for young people as well as older staff carrying out further training in new environments. The purpose of the conference was to inform and makes things clear for employers as well as suggest tips to reduce risk for both young and older apprentices. This entry was posted in News and tagged apprentices, apprenticeships. Bookmark the permalink. Both comments and trackbacks are currently closed.